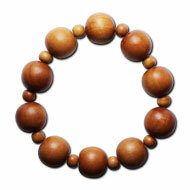 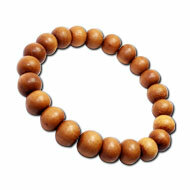 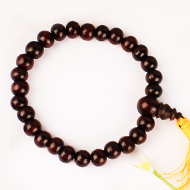 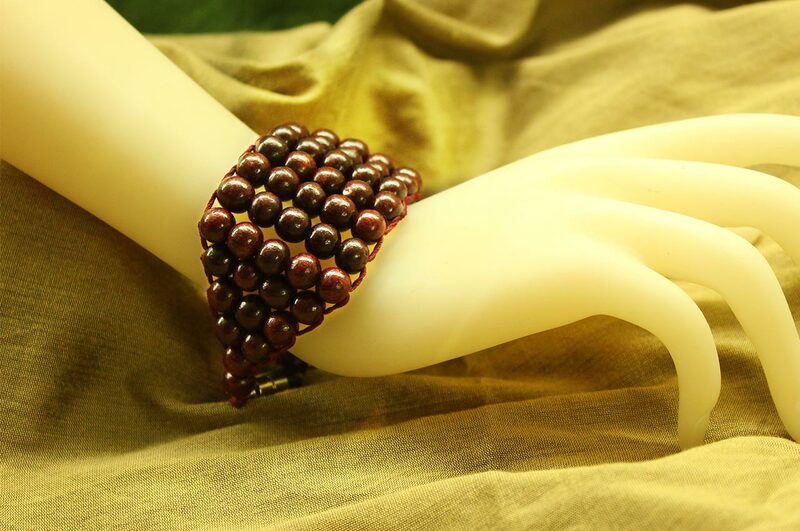 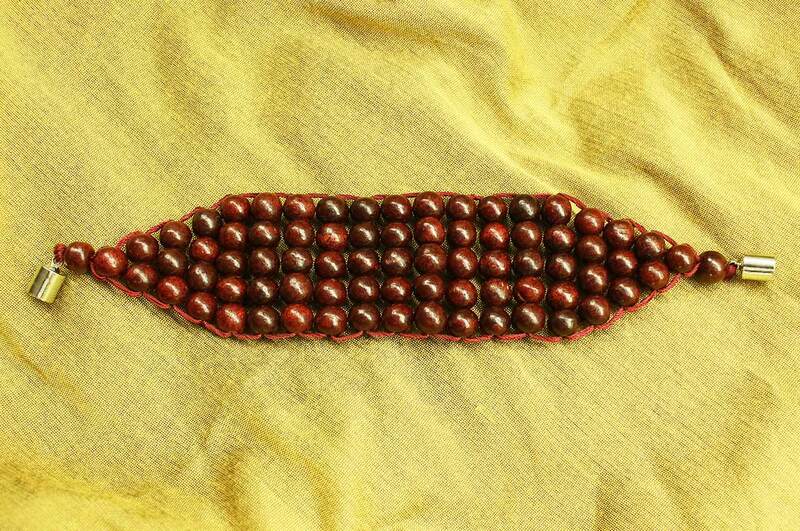 A broad bracelet made of Red Sandalwood beads. 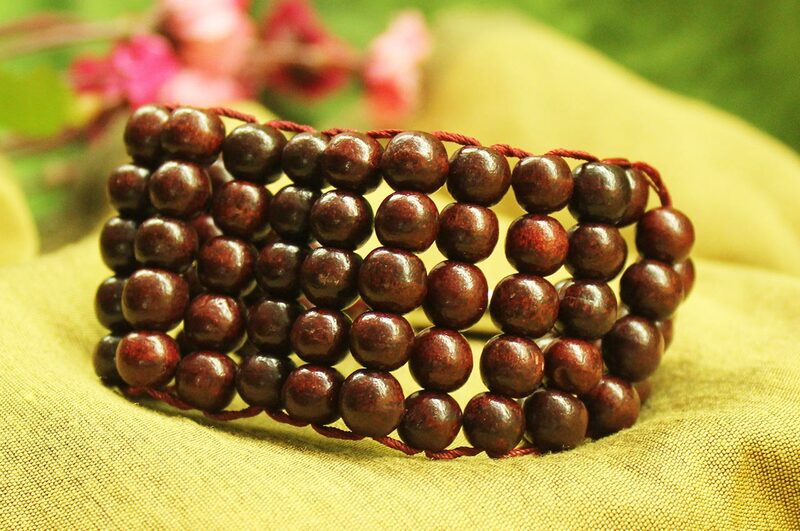 This bracelet is five layered and made of round Red Sandalwood beads strung neatly in thread. 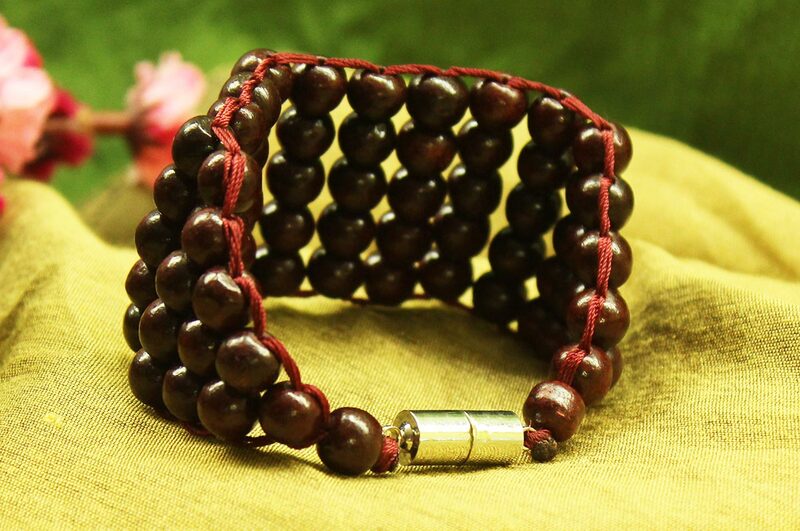 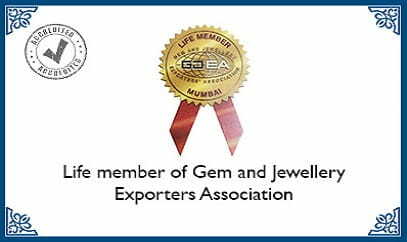 This beautiful Bracelet is hand crafted with authentic red sandalwood beads of high quality.